The RACE scale was validated prospectively in the field by trained medical emergency technicians in 357 consecutive patients transferred by EMS. Neurologist at the receptor Stroke Center evaluated stroke severity (NIHSS scale) and Large Vessel Occlusion (intracranial carotid, proximal middle cerebral artery, tandem occlusion or basilar occlusion). 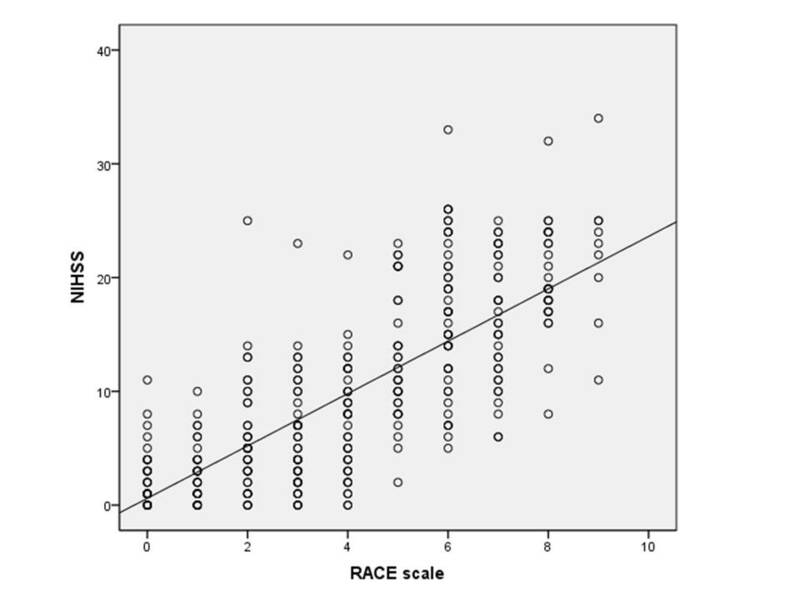 The RACE scale showed a strong correlation with NIHSS (r=0.76; p<0.001). 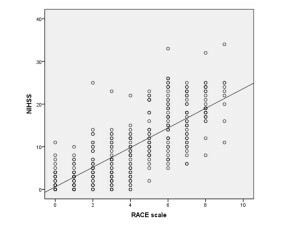 a RACE scale >4 correlates with a NIHSS >10. 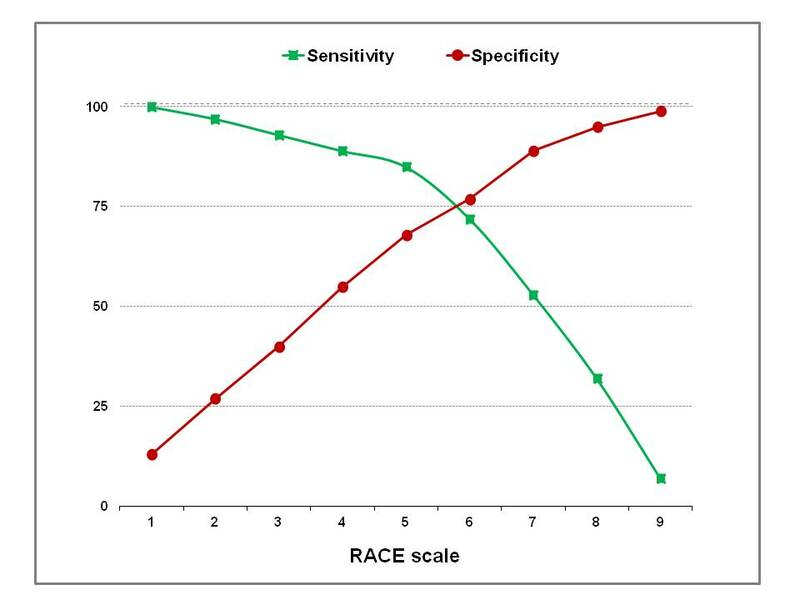 Capacity of the RACE scale to predict a Large Vessel Occlusion was high (AUC 0.82). 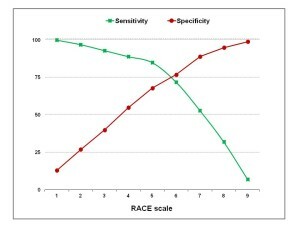 A RACE scale ≥5 was considered as the best cutt-off point to detect patients with a Large Vessel Occlusion, with a sensitivity 0.85, specificity 0.68, PPV 0.42 and NPP 0.94. You can read the original article published in Stroke Journal.